Once enabled, you can export all Webmail items by dragging and dropping each item on the Zimlet. Alternatively, you can click the “Export” button or use the context menu by right clicking and selecting “Export”. With this Zimlet, you can also download your email folders, which is extremely useful for backup operations. By double clicking the mouse left button on the Zimlet, you access the Preferences menu, where you can choose to automatically delete emails right after downloading them, to free some space in your email account if needed. when i try to install the zimlet "2017-01-23-20-48-59_58866c3bd7423.zip" i encounter the error "FAILURE Method:[unknown]". 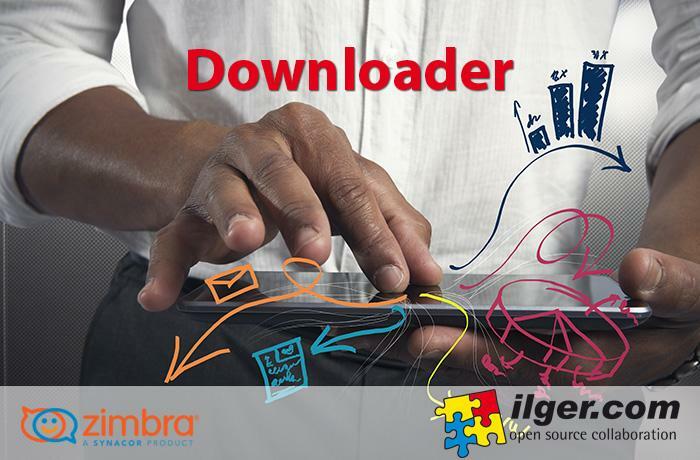 the version of zimbra is: "Release 8.7.1_GA_1670.RHEL7_64_20161025045328 RHEL7_64 FOSS edition"
After the installation of the Zimlet (2016-09-16-13-24-41_57dbf29966728.zip) the function "search" on the "top right" stop working!!! Hi Claudio, many thanks for your interest in our Zimlet. We have just fixed the bug in version 1.2. Please download the new version and let us know if this helps. Thank you! After activating the zimlet, in Zimbra 8.7.0, the search stops working in the web interface. Once we disable the zimlet everything works fine again. The download link is for the 1.0 version, does any of the upcoming versions solves this? Very Very Nice... well done!! !